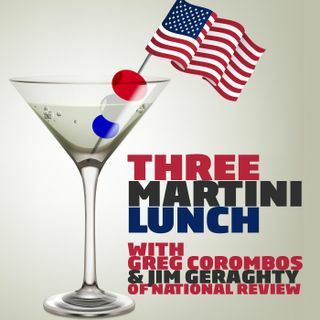 David French of National Review and Greg Corombos of Radio America close the week with three crazy martinis. They unload on CNN's Wolf Blitzer and Jim Sciutto for speculating on air that the radical Muslim terrorist in Barcelona got the idea for a van attack from watching the events in Charlottesville. They also hammer Antifa's argument that it engages in violence to protect nonviolence and only against white supremacists, pointing out that Antifa viciously attacks anyone it ... See More doesn't agree with and that it is the job of police to protect nonviolence. And they sigh as liberals start calling for the removal of statues of George Washington and Thomas Jefferson, just as their critics predicted earlier in the week.